Memories of growing up are continually dogged by Mother's "Mushy" Pea Soup. My brother and I must have eaten gallons of it during our teenage years, even to the stage where I think my brother was getting withdrawal symptoms if he did not get a regular "fix". All our friends knew Mum's pea soup and would often ask if there would be any available if they called around. And during winter months any guests of the family who were invited for lunch would invariably start their meal with a bowl of good old pea soup. Mind you it was good and on a cold winter's day was both warming and nourishing. During the winter months the kitchen was like a production line for pea soup with a pan of it always on the go. We even had pea soup lollies for the times when supply wasn't keeping up with demand - that was pea soup deep frozen in long half pint containers - all it lacked was the sticks and you could have sat their on a hot summer's day licking a nice cooling pea soup lolly! The great secret of the pea soup died with my mother a few year's ago. As I have got older I have looked to recapture those recipes from my youth because as well as tasting good they are imbued with fond memories (you forget the bad ones) so over the last two months I have been creating various concoctions in an attempt to re-create the famous pea soup. I am pleased to say that I have succeeded to the point where only an experienced connoisseur of Mum's soup might be able to tell the difference. Part of the problem has been the ingredients. Back when Mum used to make it you could get ham bones from the grocer (it was the grocer that sold the bacon in the UK and not the butcher). The arrival of supermarkets saw the death of the independent grocer in the early 70s and with it the availability of ham bones. If you can still get them so much the better otherwise like me you will have to rely on stock cubes! 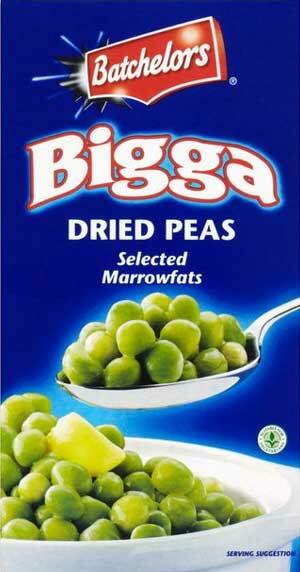 Remember you will need to soak your peas for 24 hours before you need them. If using a ham shank you will need to simmer it for three hours or so and if possible leave it in the stock overnight. Reduce your water by the amount of stock you have. You will need a saucepan that is capable of holding at least 8 pints of liquid. Add water to your stock to bring it up to approximately eight pints (depends on size of your pan) or add your stock cubes to water and dissolve by heating. Rough chop your celery and carrots and add to stock. (Do not add any salt - salt stops the flavour from coming out of the vegetables). Bring to boil and simmer for about an hour. Drain and rinse your peas which have been soaking and add to pan. Bring liquid in pan back up to level at start of process. Bring back to to the boil and simmer for two to three hours with a lid on. Remove from heat and put through liquidiser. Add salt and pepper to taste. Serve hot with chunks of freshly baked bread.